Seventy-five percent of respondents to a recent survey think that the nation’s housing market is beginning to slow. More than 20 percent of Californians believe that the housing market is cooling, the most of any state. Less than 40 percent of millennials who do not already own a home think that now is a good time to buy one. Three-quarters of Americans believe that their local real estate markets are beginning to slow, with Californians the most likely to point to a shifting balance between buyers and sellers. That’s according to ValueInsured’s Q4 2018 Modern Homebuyer Survey, which found that confidence in the U.S. housing market declined from the fourth quarter of 2017 among both homeowners and non-owners. The company’s housing confidence indicator for all Americans is currently at 63.0 on a 100-point scale, the second-lowest level observed over the past two-and-a-half years. After five consecutive quarters of saying the housing market was overheated, 72 percent of those polled told ValueInsured that the slowing conditions do not surprise them. An identical 72 percent of Americans think that home prices are currently too high, and 59 percent say that they were holding off on a purchase until the market strikes a better balance. Nearly 15 percent of prospective buyers will drop all plans to buy a home unless the market corrects itself. 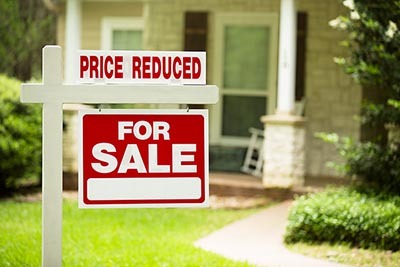 Millennial homeowners are pessimistic about the state of the U.S. housing market; nearly three-quarters say that buyers in their neighborhood are not as eager as they were at the same time last year, and 67 percent believe that a nearby property will be worth less in the fourth quarter of 2019 than it is today. Millennials who do not own homes are even more discouraged with the real estate market, and only 38 percent of that group thinks that now is a good time to buy an entry-level home. More than 20 percent of Californians surveyed believe that the housing market is losing steam, the most of any U.S. state. That finding lines up with a recent report from CoreLogic, in which company Analyst Andrew LePage said that Golden State buyers are now less aggressive than they were in past months, thanks in part to improving inventory conditions.